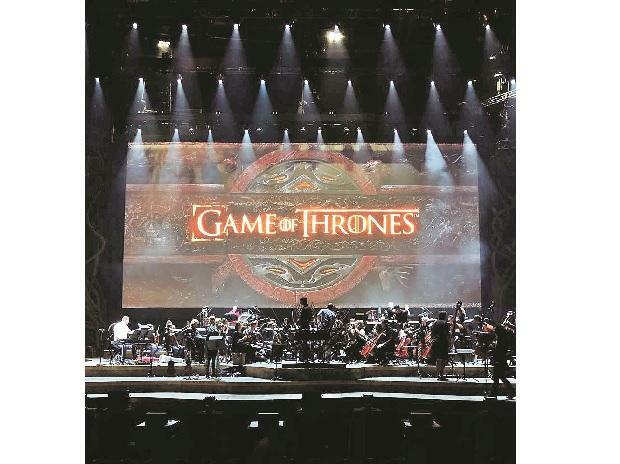 Quick to seize on the fevered anticipation for the final season of “Game of Thrones”, the Election Commission (EC), the Press Information Bureau (PIB) and even the Congress are using popular references from the hit HBO series to make themselves heard in the poll season. As the war between the seven kingdoms for the Iron Throne in Westeros is set to conclude with the final season of the much-acclaimed show, known for its portrayal of power dynamics, the poll panel and the PIB are drawing inspiration from it to maximise voter turnout in the ongoing 2019 general elections. The Opposition Congress is using the show, described as a cultural phenomenon by many, to take potshots at its political opponent. Such is the craze for the show, based on a series of books by George R R Martin, that Western Railways is also using “GOT” messaging to reach out to travellers. The EC, hoping to spread voter awareness on social media, took to the most famous nod to “GOT”, “Winter is coming”, in its poster on Twitter. “Don your creativity caps! After our #VoterQuotient quiz for the scholarly followers, now we have something for our artistically inclined followers. Can anyone guess what’s it about? Be ready as we reveal our next contest at 1pm today,” read a following tweet. The PIB used several “GOT” memes, featuring fan favourite characters Tyrion Lannister and Hodor, calling on people to cast their votes. “No matter how big or small one is, every vote has equal power. This #LokSabhaElections, become a true hero. Go out and vote... #ItMatters #LokSabhaElections2019 #GeneralElections2019,” the bureau wrote on the microblogging site, referring to Peter Dinklage’s character Tyrion, often ridiculed as a dwarf in the series. “Not all heroes hold weapons... Some just vote,” reads the tagline with gentle giant Hodor, played by Kristian Nairn in the show, in the backdrop. The last part features Drogon, one of Daenerys' three dragons. The caption describes the elections as a “Festival of Democracy”. Emilia Clarke plays the Mother of Dragons Daenerys in the series. The last and eighth season of the popular show began airing on Monday. Coincidentally, the show’s finale will air on May 19, the day of the seventh and last phase of polling in Election 2019. The party shared a photoshopped “GOT” poster, in which the main threat, the Night King, has been replaced by Prime Minister Narendra Modi. Uttar Pradesh Chief Minister Yogi Adityanath is depicted as Ramsey Bolton, BJP chief Amit Shah as Cersei Lannister, and Karnataka BJP chief Yeddyurappa as Tywin Lannister in the poster. All three "GOT" characters are cold blooded schemers in the alternate universe created by Martin. The party captioned the poster, “Spoiler Alert: When you play the Game of Thieves, you either lose or you bribe! #BJPGameOfThieves,” giving a twist to the show's popular dialogue spoken by Cersei (essayed by Lena Headey). The original one-liner is, "When you play the game of thrones, you win or you die.” It was not all about calling names and political campaigning. "Be a wise Lannister, always travel with a ticket. Western Railway urges you to keep an appropriate ticket at all times avoid buying tickets from touts. #ForTheThrone #GameofThrones,” the tweet read.